Update from Sarah Jane, September 7, 2018: Day three ended yesterday. Cory Booker brought the fire. Kamala Harris matched him. The Dems are playing a bad hand as well as can be expected. 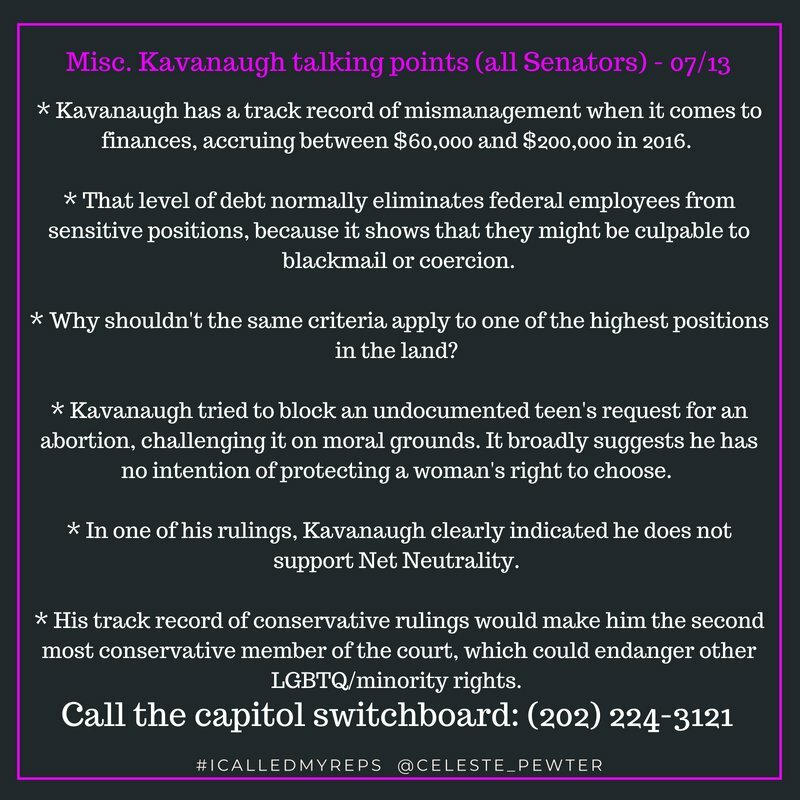 You can help them #StopKavanaugh by calling your own Senators to oppose the nomination. Boost your Democratic Senators for bringing the fight, and pressure your Republican Senators into voting no. To quote Dante from Clerks, ‘I wasn’t supposed to be here today,’ but, you know. I am going to keep beating the #StopKavanaugh drum on weekdays, for now, and I’m going to repost the voting registration deadlines on the weekend. Because damn, we need everyone to get out and vote. Every. One.